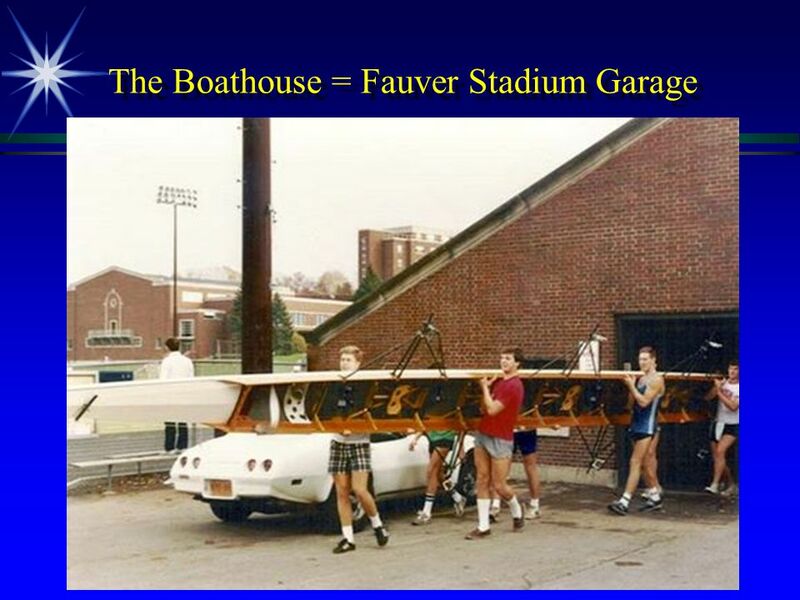 Friends of UR CREW: What, how, when? Edward J. Fox 91, 95MD. 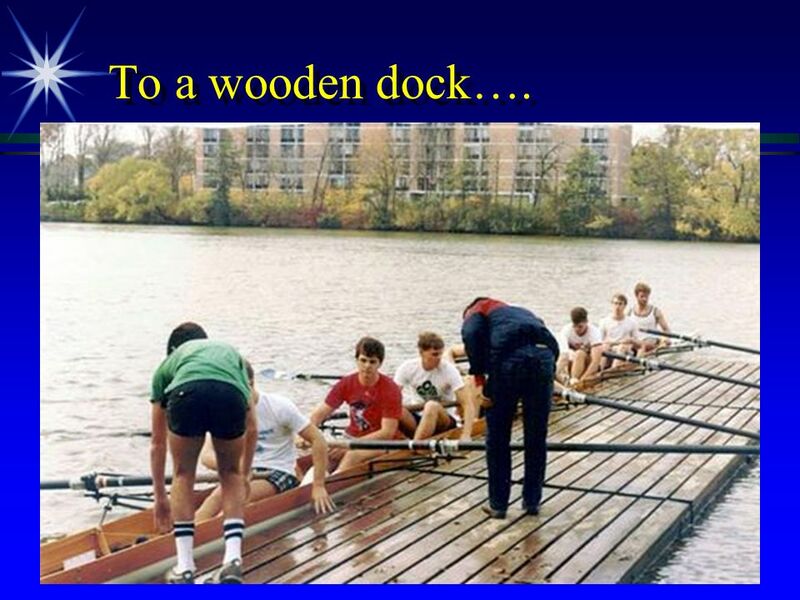 6 To a wooden dock…. 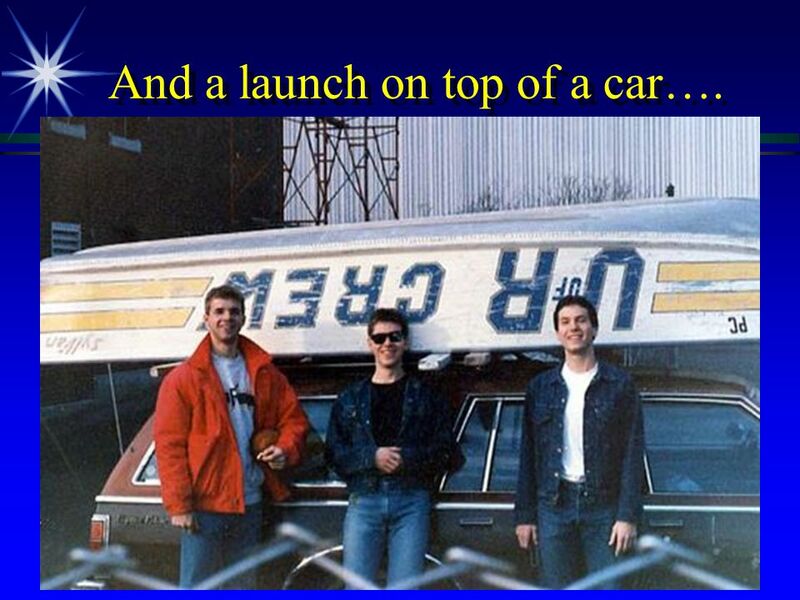 8 And a launch on top of a car…. 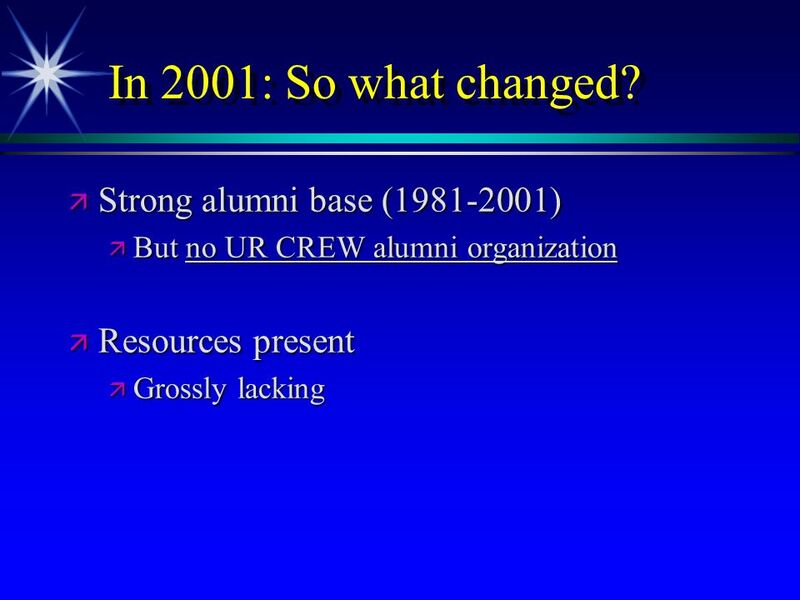 10 UR CREW: 2001 to now. 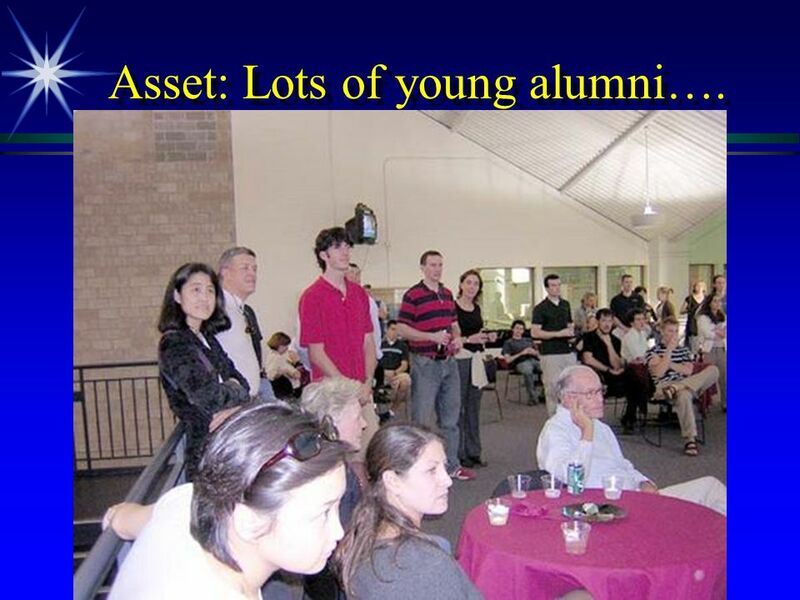 13 Asset: Lots of young alumni…. 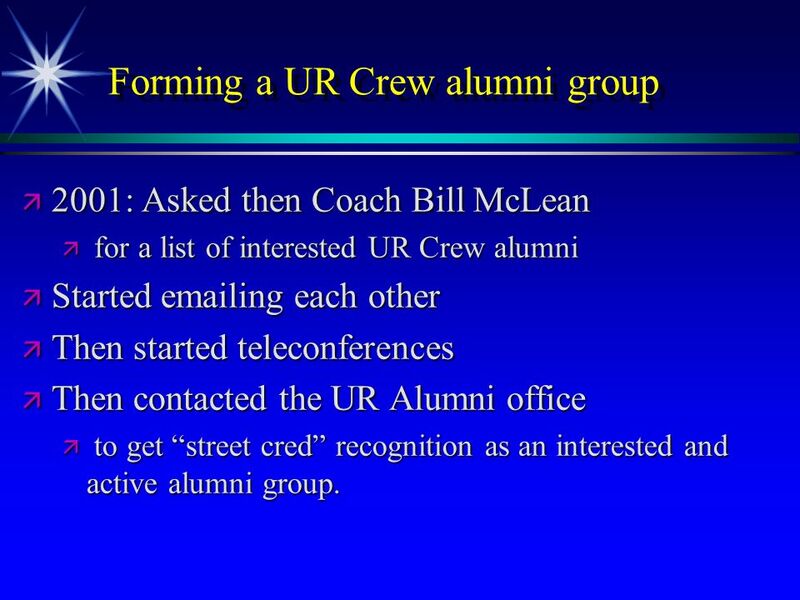 14 Forming a UR Crew alumni group 2001: Asked then Coach Bill McLean 2001: Asked then Coach Bill McLean for a list of interested UR Crew alumni for a list of interested UR Crew alumni Started emailing each other Started emailing each other Then started teleconferences Then started teleconferences Then contacted the UR Alumni office Then contacted the UR Alumni office to get street cred recognition as an interested and active alumni group. 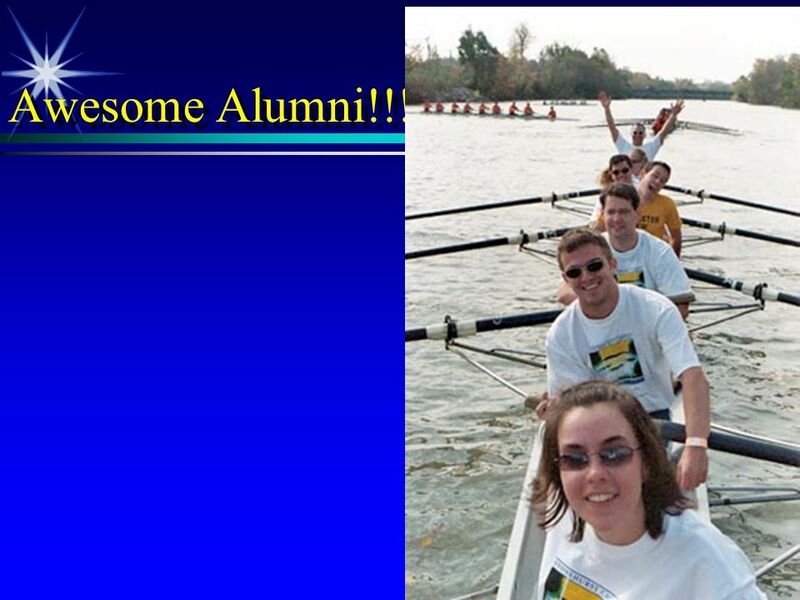 to get street cred recognition as an interested and active alumni group. 15 Friends of UR CREW: est. 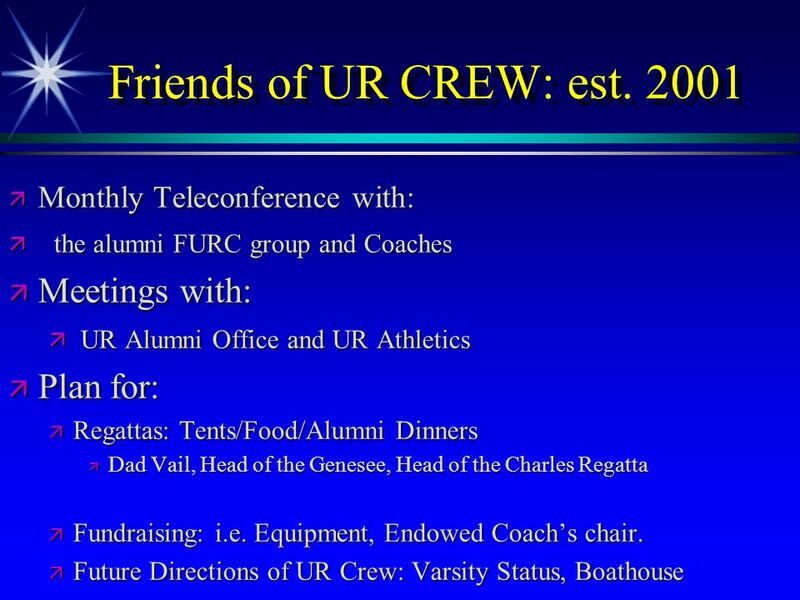 2001 The Friends of UR Crew (FURC) The Friends of UR Crew (FURC) is a network of alumni, parents, and friends committed to the success of the Men's and Women's Crew teams at the University of Rochester, now working in conjunction with the Friends of Rochester Athletics. 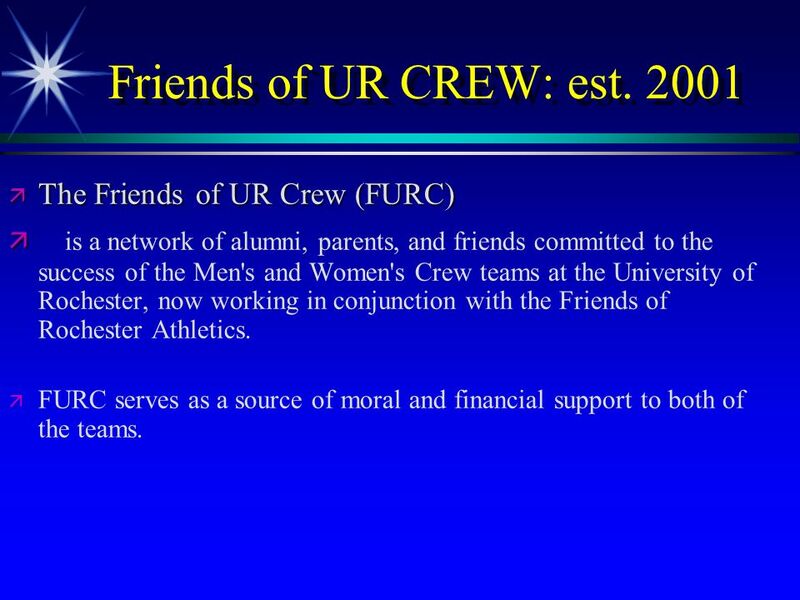 FURC serves as a source of moral and financial support to both of the teams. 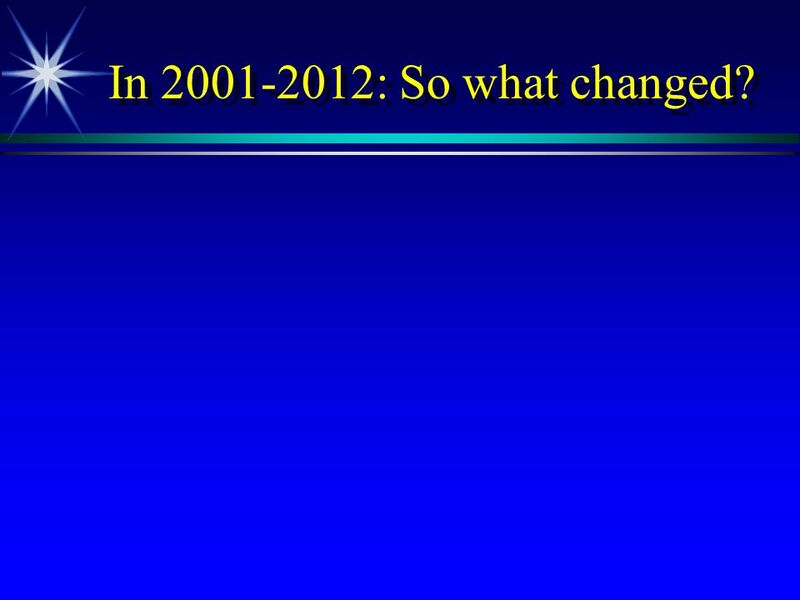 17 In 2001-2012: So what changed? 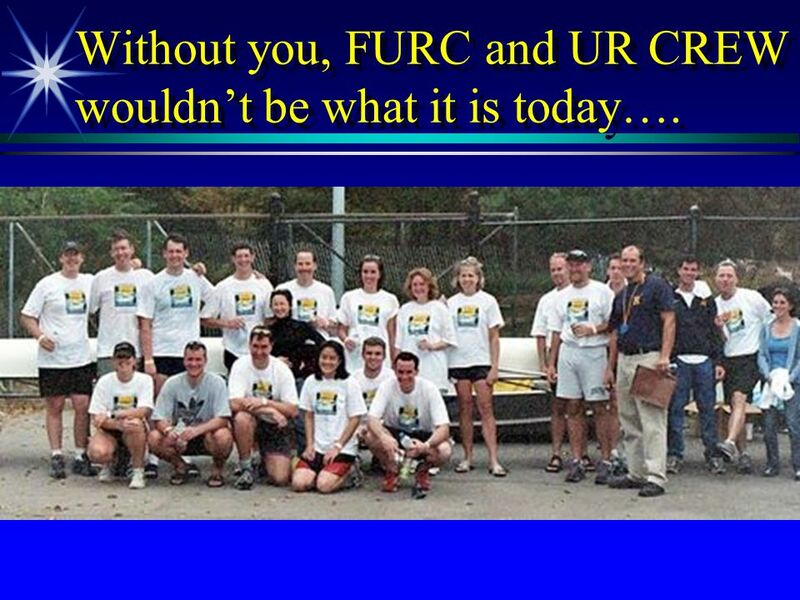 26 Without you, FURC and UR CREW wouldnt be what it is today…. 27 How do I join FURC? 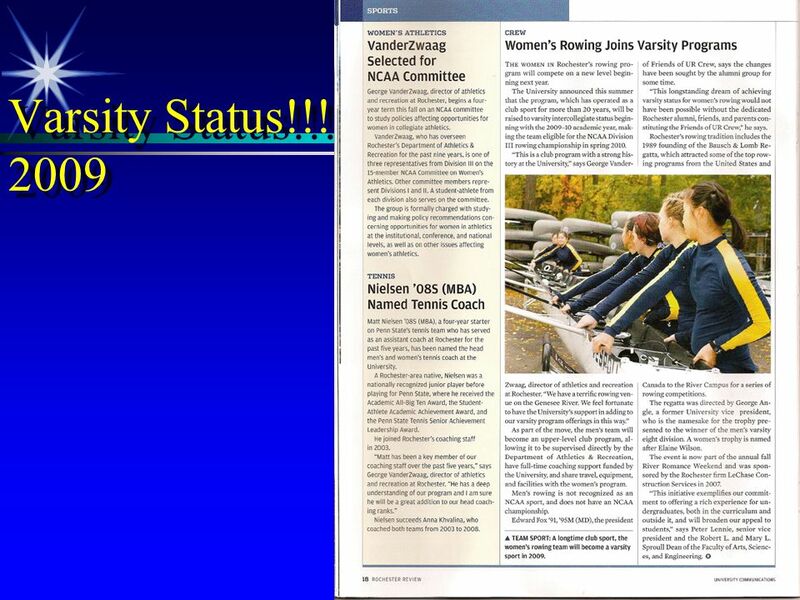 Go to: Friends of UR Crew webpage Go to: Friends of UR Crew webpage Go to: Contacts Go to: Contacts http://sports.groups.yahoo.com/group/urcrewfriends/ http://sports.groups.yahoo.com/group/urcrewfriends/ http://sports.groups.yahoo.com/group/urcrewfriends/ Request membership to group, and become a part of the team. Request membership to group, and become a part of the team. 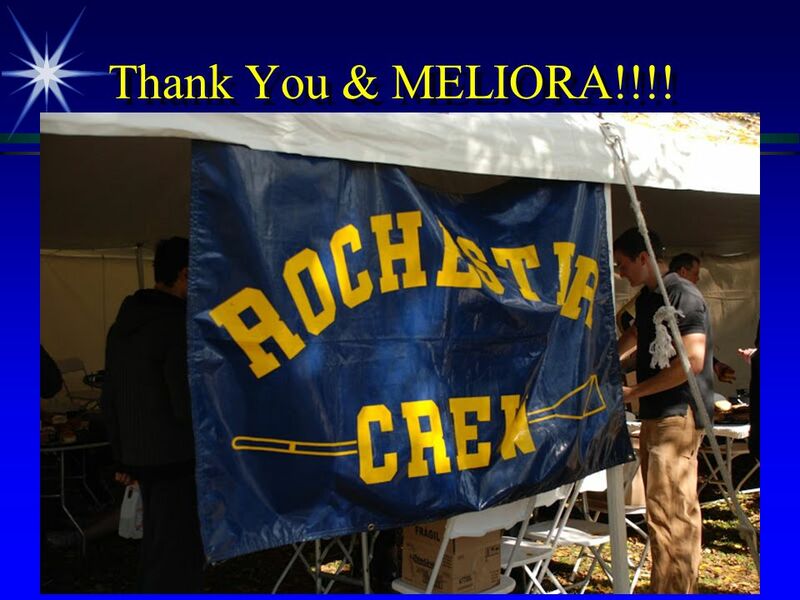 28 Thank You & MELIORA!!!! 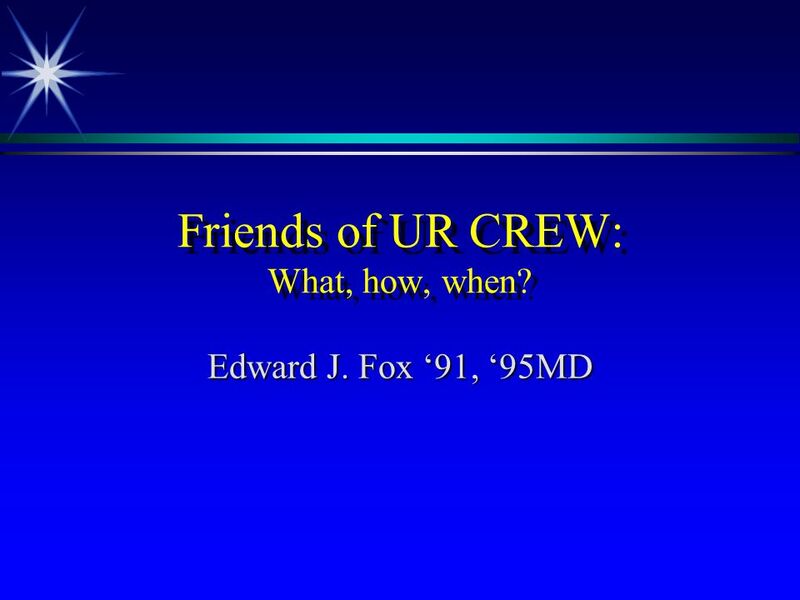 Download ppt "Friends of UR CREW: What, how, when? Edward J. Fox 91, 95MD." The Explorer Network by. User name: status update here Basic Information Current City: Portugal Spain Birthday: Looking for: west route to Asia. 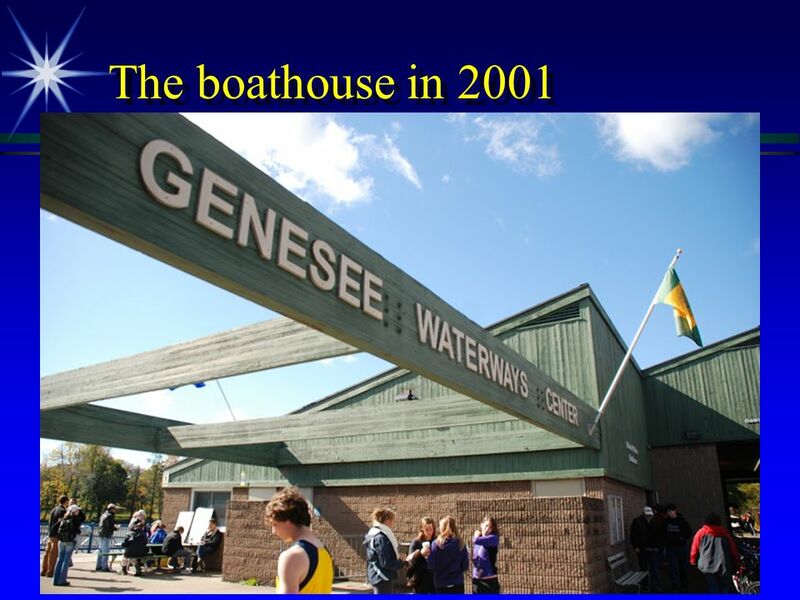 Getting-To-Know-You-Introduction Webinar 2012 – 2013 ALHsuccesslines Success Program for Girls. 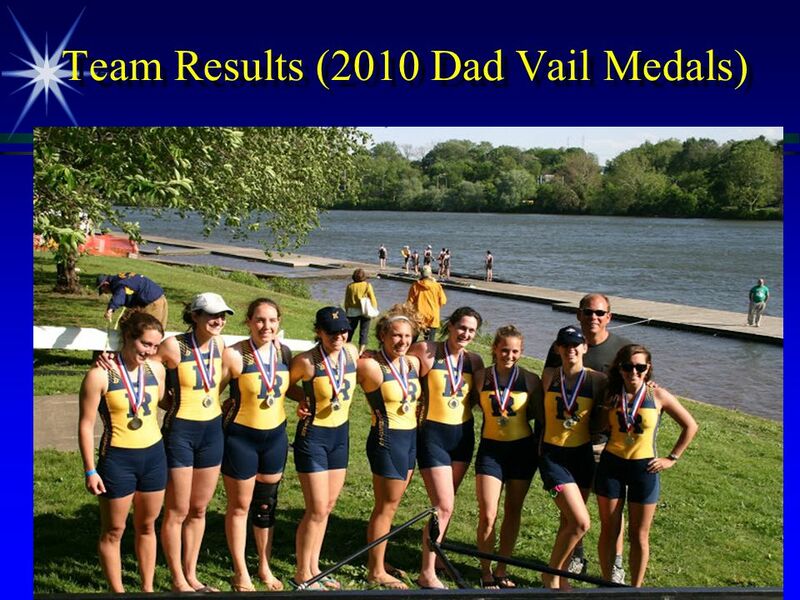 Fox Chapel Crew Spring 2014 Parent Meeting. 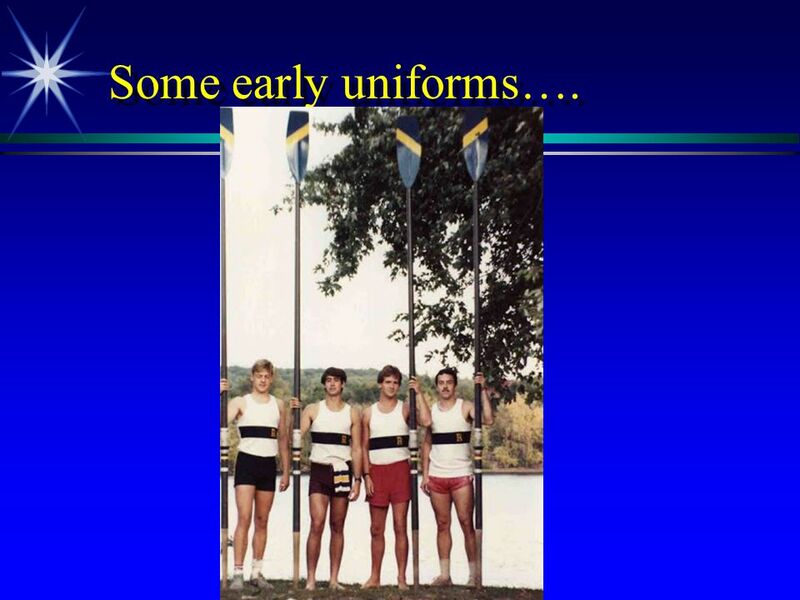 Name of your sport Your name Your teachers name Date Picture of this sport. 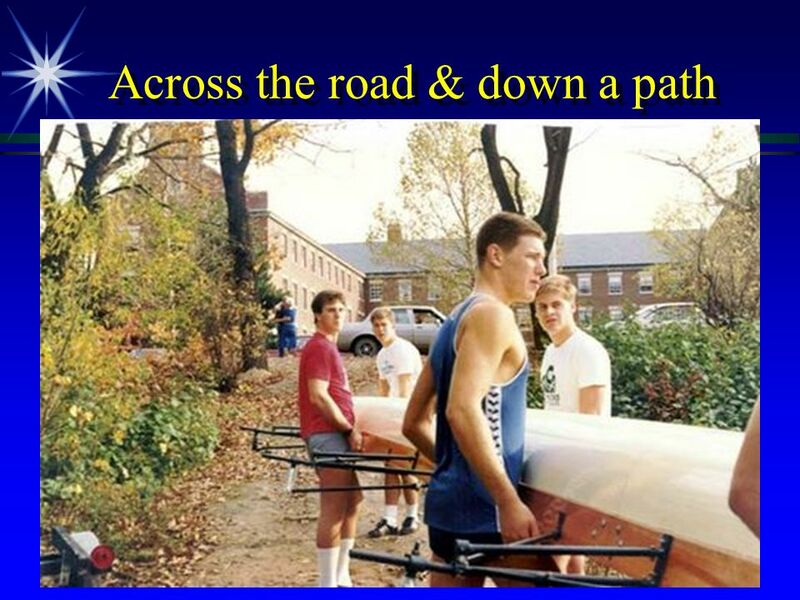 Lets Get Back to Basics Rutgers Day is about who we are and what we do. 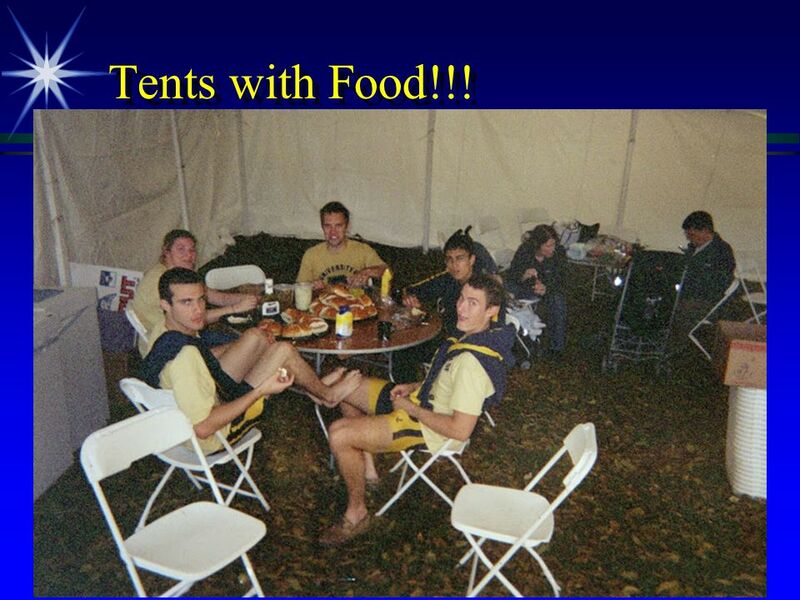 In this milestone fifth year, lets get back to basics and make this day about us…not. Benefits of Collaborating Presenter: Justine Philyaw GSC 03 Alumni Organization: Alumni Crew Team Alumni Leaders Conference October 22 & 23, 2010. 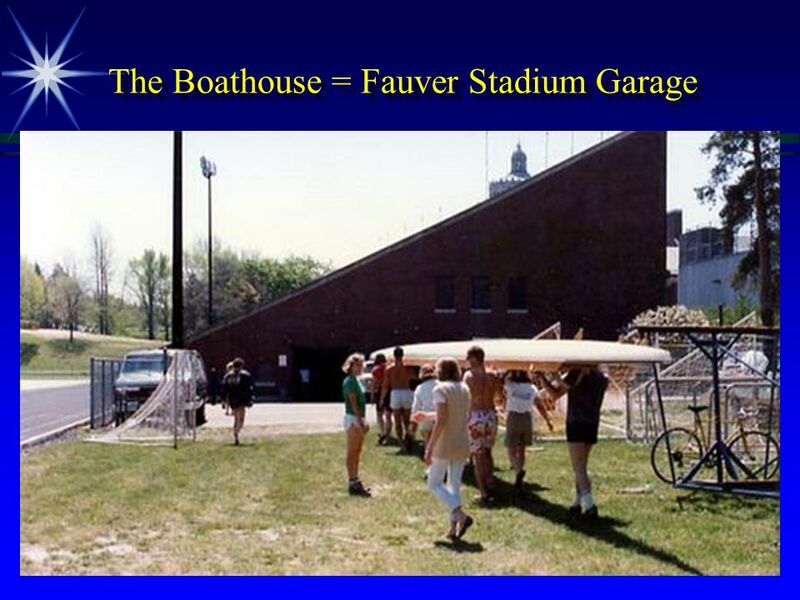 About the Team Practice Regattas Spring Break Post-Season Coachs Talk Questions. What our patients say – results of the annual service user survey Siân Percival-Edwards BSc (hons); MSc (dist. 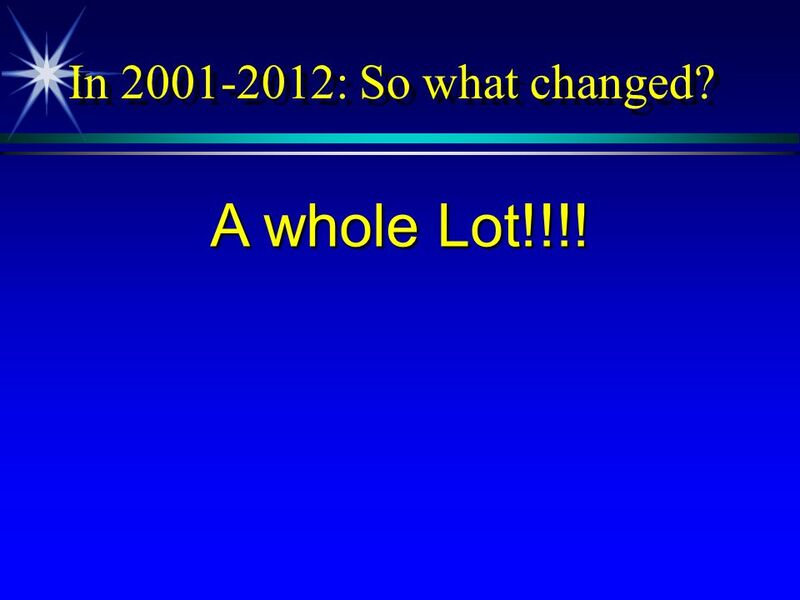 ): FHEA Spring Conference 2013. Sharing Our Achievements to Help You Create Yours. Since  19 years in a row named one of America's "100 Best College Buys.“  Allendale campus located 15 min. 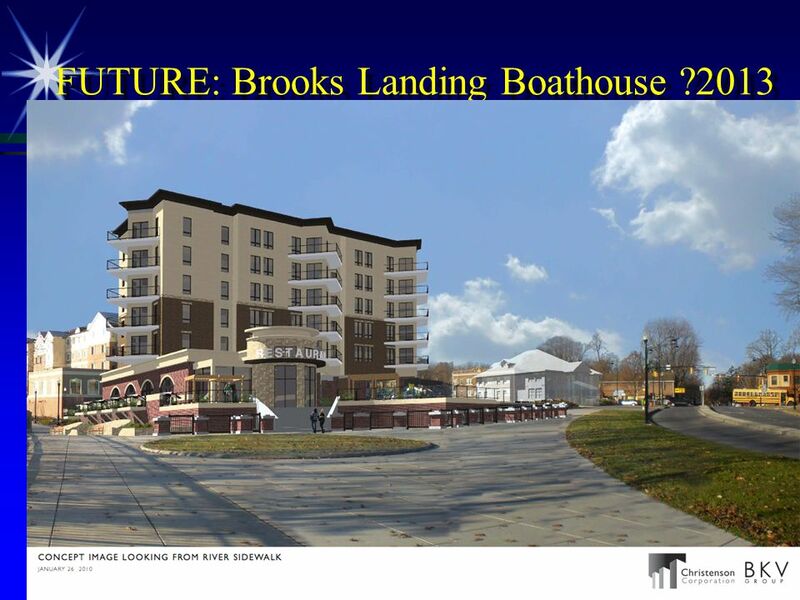 from downtown Grand Rapids and 25 min. 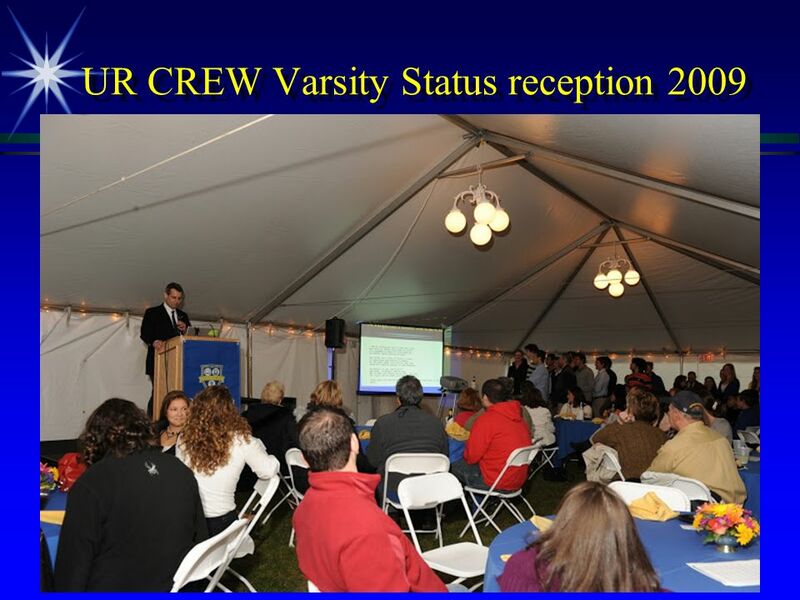 Welcome Booster Club Coaches/ Parents Meeting January 14, 2013. Winter Sports Parent Meeting Presented by Chris Chantry, Ogden Athletic Director 773/ December 13, 2011. 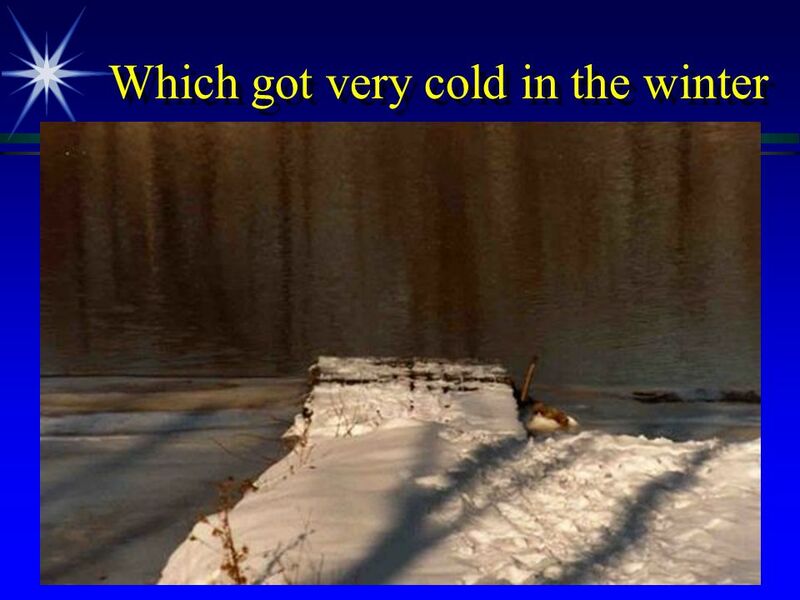 Click on the gold to get started! Lets travel back in time to the Colorado Gold Rush and learn all about the miners! 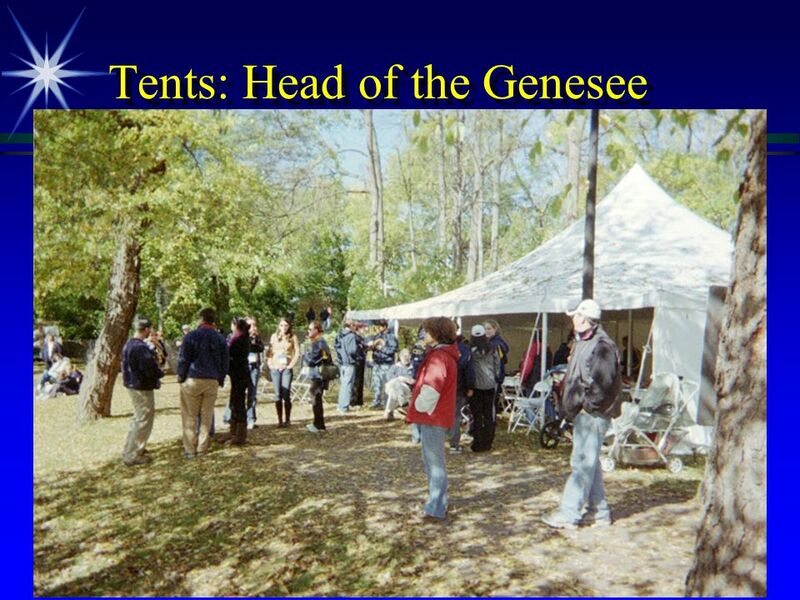 Welcome to SNEATP Southern New England Association of Technical Professionals Membership Information. An invitation to become a Friend of Bedford Open Door ‘The young people of Bedfordshire are our future’ 120 Tavistock Street Bedford MK40 2SA Charity No.